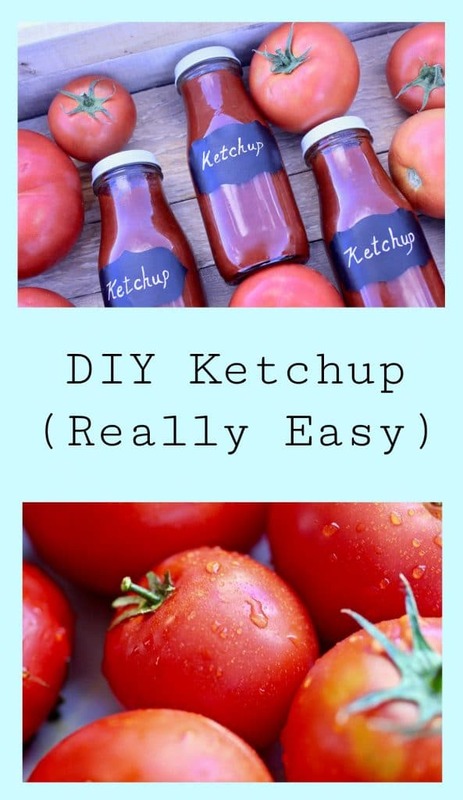 My mom and I have wanted to take on a DIY Ketchup project for a while now, so during our recent visit to my parent’s acreage in Saskatchewan, we decided to make it happen. 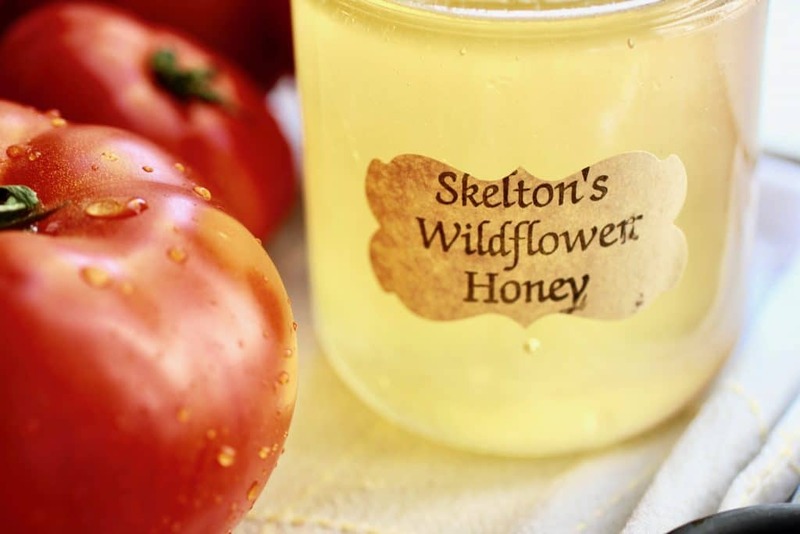 We knew we would use the tomatoes from their ever-abundant veggie garden, and it seemed perfect to sweeten our homemade condiment using honey from the bees my parents raise. My mom is a wizard in the kitchen, so I knew I was in good hands with direction and trouble-shooting. There was definitely some trial and error during our ketchup-making exercise. 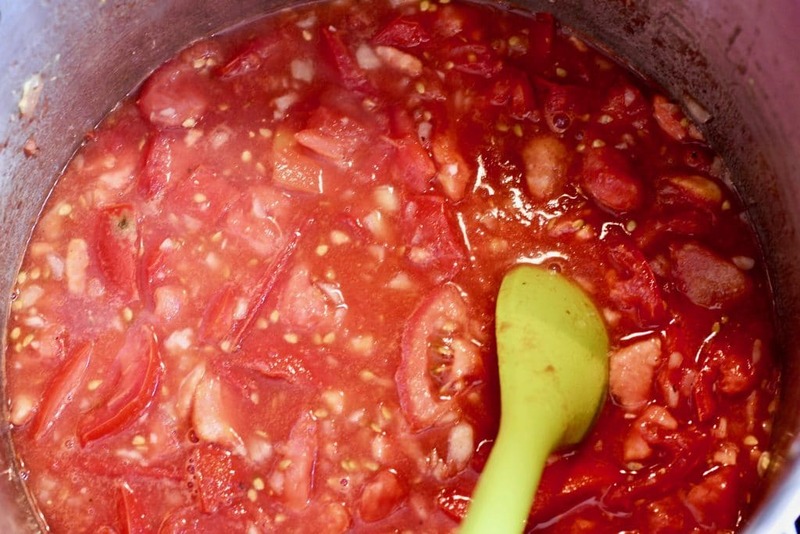 The key with this recipe is to simmer on low-medium heat for two-three hours because you’re making more than your average DIY ketchup recipe. Time Investment: Four hours (including 2-3 hours of simmer time. The rest is prep, bottling and cleanup). 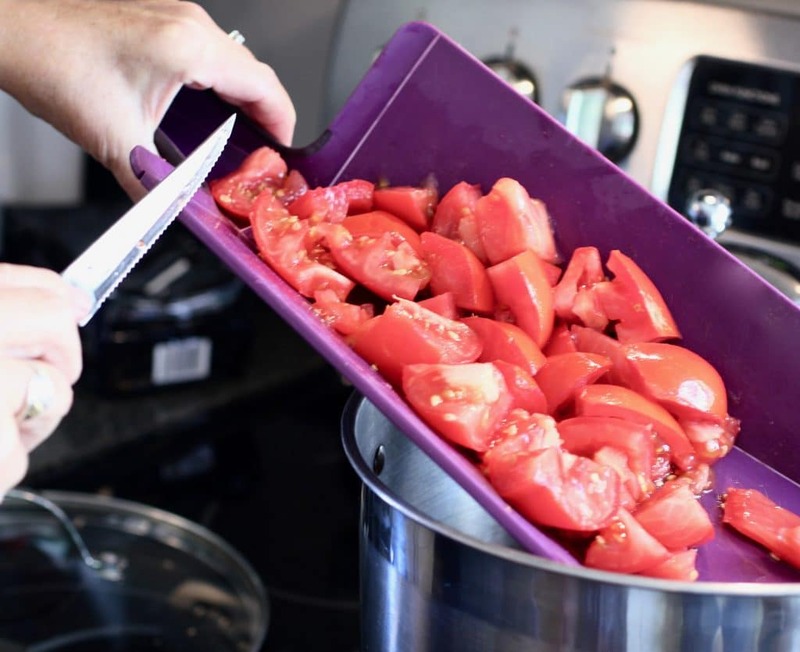 Chop your tomatoes and put them in a large stock pot. 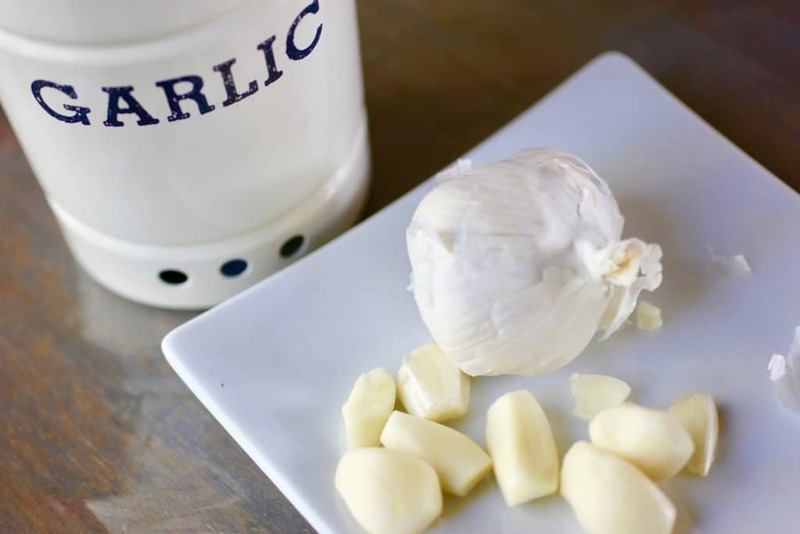 Add in the rest of your ingredients and blend together. Bring to a boil on medium high heat and then reduce to a simmer (low-medium heat) until everything thickens. Stir often. 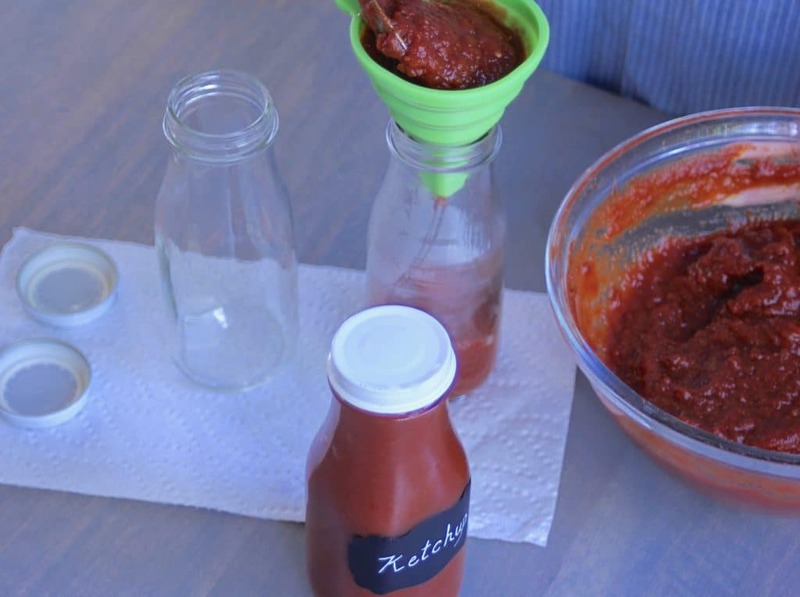 Remove from heat, mash, and then allow your ketchup to cool. Once cooled, blend with an immersion blender. 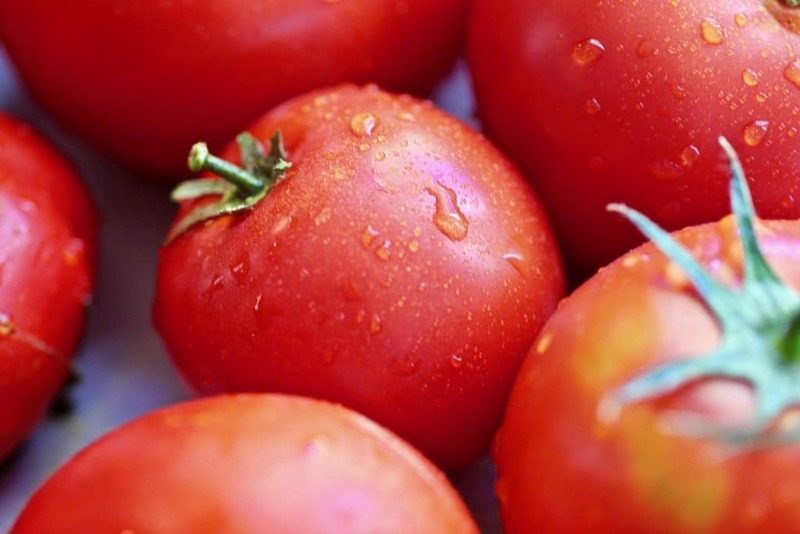 Store in the fridge or freeze in small storage bags to use as you need! 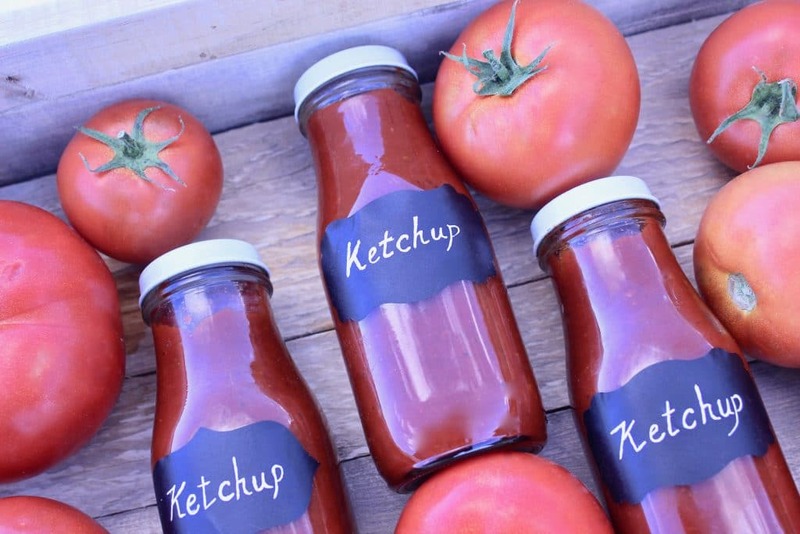 We bottled our DIY ketchup in these recycled Frappuccino bottles from Starbucks and used chalk labels from Michaels. After that, all that’s left to do is whip up some homemade fries and dip away! 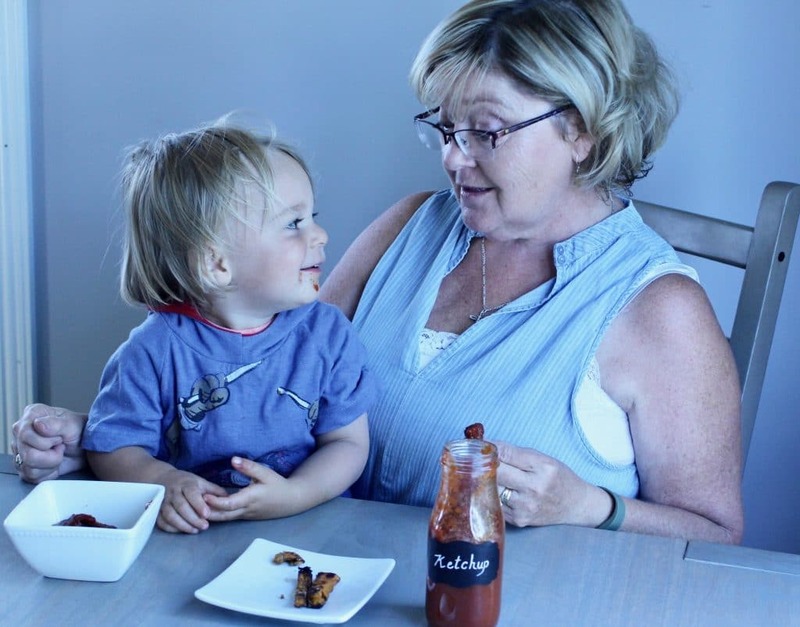 As you can tell, Wyatt loved the ketchup…almost as much as he loves his Dee Dee! I hope you enjoy this as much as we did! Don’t forget to ‘Pin’ it for later! Check out more of our recipes – here.